This month’s Once Upon a Bookcase was classically gorgeous and made me so happy to be apart of this box. This month’s surprise theme was Pride and Prejudice, which I had my fingers crossed for when the hint was released. If you didn’t know, Once Upon a Bookcase releases hints to what their upcoming themes are going to be and the hint for the Pride and Prejudice box was “an 1800s Romance”. Yay for hints! I usually save the phone case as the last thing I talk about in the review but I literally can’t wait this month. I am so grateful that this was the chosen case this month. The peacock design is so beautiful and elegant, it fits with the theme of this classic novel it is inspired by. The case is dark blue with light yellow detailing on the peacock feathers and text which really helps it to pop. It give it an antique feel, and really is so beautiful. The goodies didn’t disappoint either. The first was a rose patterned faux collar necklace. This piece was stunning, however I’m literally hopeless when it comes to figuring out how to wear collar neck pieces. I’m excited to Pinterest it though and find some great looks! The next piece was something I’m definitely going to wear pretty much every day – a long pendant style necklace featuring a book locket on the end of it. This piece is definitely more my speed (I’m huge into layering necklaces), and I love to dress them up or wear them down. And it being a book? Forget about it – new favorite thing. Finally, this month also included a peacock shaped, gold, hair clip that matches the phone case perfectly. Definitely going to try to incorporate it into my weekly wardrobe! This box makes me so happy every single month and I’m so excited to be apart of it for months to come. 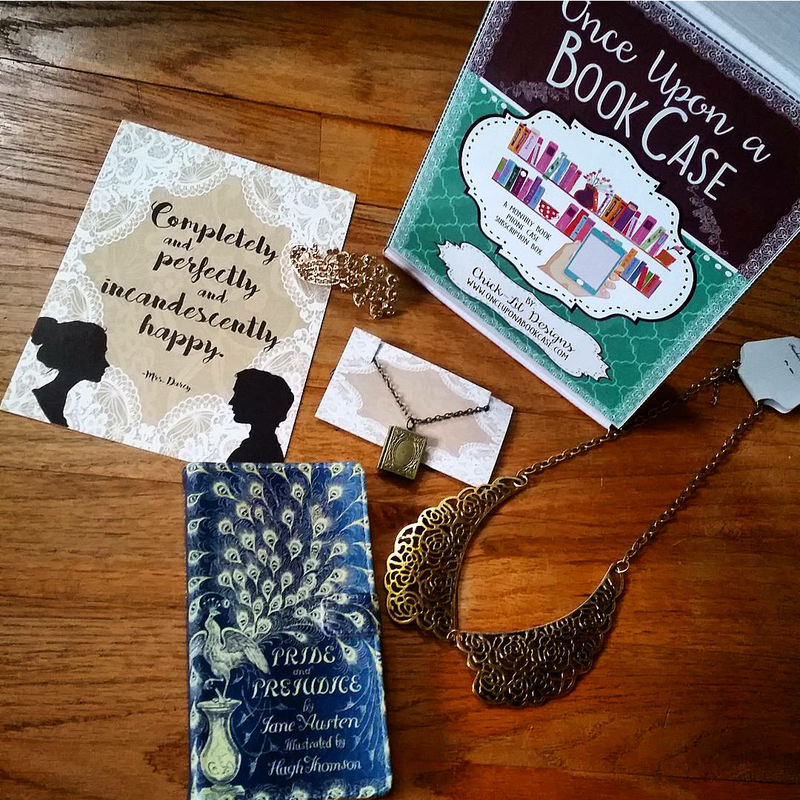 If you’re interested in receiving a future Once Upon a Bookcase, be sure to sign up on their website!